This incredibly hardy grass that's proven itself on golf courses through the entire U.S.A. and Canada is now available to you. And it grows so quick and easy. Fairway grass takes much abuse from the heavy foot and cart traffic, divots, and every kind of weather condition! But through it all, grasskeepers have to maintain perfect grass. That's why they love this grass that sprouts quickly and thrives through the worst abuse. Grass starts growing in just 5 days! 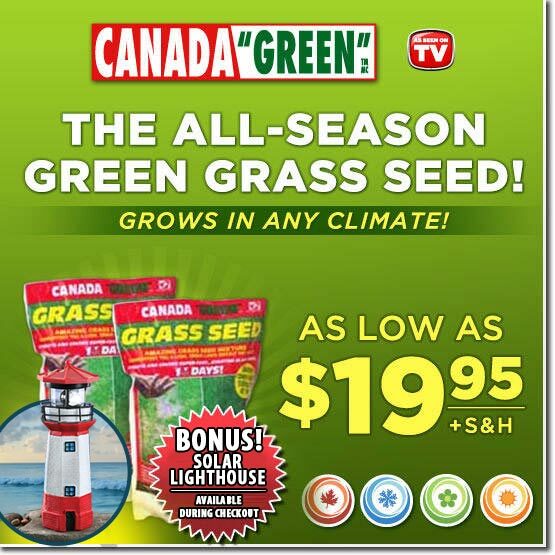 Order a 2 LB bag of Canada Green Grass today for just $19.95 + $6.95 S&H! You may also choose to upgrade to the 6 LB bag for just $34.95 + $8.95 S&H, the 12 LB bag for just $59.95 + $10.95 S&H, or the 18 LB bag for just $90 plus FREE SHIPPING! Sales tax will be applied to orders in NJ. 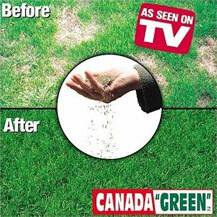 Canada Green is covered by an unconditional money back guarantee less S&H. ©2019 Canada Green Grass All Rights Reserved.